Never worry about spills and hard-to-remove marks on your carpet again! At our flooring store, we offer a wide range of flooring carpet options for parents that need resilient and stain-resistant carpeting that can stand up to the spills, foot traffic, and general abuse that children can place on carpeting. As the area’s most trusted distributor of Stainmaster® carpet in Pittsburgh, Pennsylvania, we have a knowledgeable staff and limitless choices to help you make the most of your home décor with our kid-proof carpeting. One walk through our spacious flooring showroom will convince you that we are your best choice for all types of resilient flooring carpet. Outfit all of the child-accessible areas of your home with our proven and affordable Stainmaster carpet flooring options and you will not regret it. 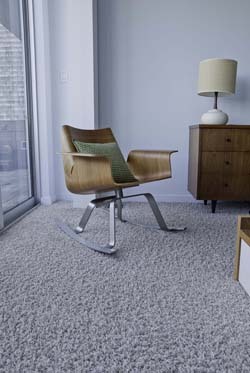 Made to last, these resilient flooring carpet options are a lifesaver for homes with children. When it comes to all children, there is one thing that they universally have in common -- they can make a mess! Protect the floors of your home with some of our proven resilient flooring carpet options from Stainmaster. When it comes to resilient flooring, carpet experts from Stainmaster have come up with the most effective type of nylon material to use in their stain-resistant carpeting. Known as nylon 6, this wonderful material remains soft and shows colors beautifully while still protecting your floors from permanent stains. Don’t cry over spilled milk (or food, trash, paint, or anything else) with this stain-resistant resilient flooring carpet fiber! No matter where you need our flooring carpet in your home, we can handle any size carpet project. Come to us for the high-quality childproof carpet that you need at the affordable and competitive prices that you deserve, and ask us for more information about our installation services. We work around your busy schedule to make sure that we don’t impact your life’s routine more than necessary. Improve the appearance of your children’s rooms with our lovely carpet options. Just because you want to keep the stains to a minimum doesn’t mean that you have to scrimp on quality carpeting that looks great while stopping the stains from becoming a permanent fixture of the room. Let us provide you with flooring carpet that combines the best of both worlds and lets you relax when you hear something spill to the floor. Contact us today and outfit your children’s rooms with resilient Stainmaster carpet from our store in Pittsburgh, Pennsylvania. We proudly serve the communities of Pittsburgh, Bethel Park, Mount Lebanon, Upper St. Clair, Scott Township, Pleasant Hills, South Park, Baldwin, West Mifflin, and McMurray.